When bring a new dog to your home there are some general guidelines that can make the transition more easeful. Below are some tips! 1.) Take some time off of work. When you get a new dog you should have plenty of extra time to dedicate to your dog. Your new dog will be stressed in his new home and will want some time to acclimate to you! 2.) 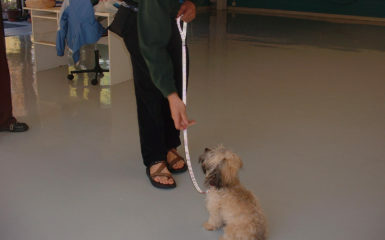 Look for a reward-based dog trainer (Group obedience training is great.). 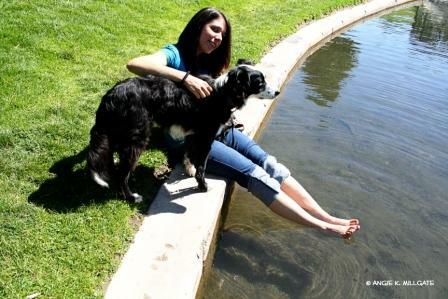 Four Legged Scholars offers many training programs for all types of income levels. 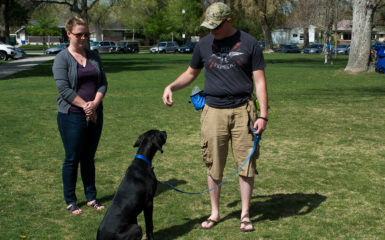 It is best to have the training lined up BEFORE getting your dog. 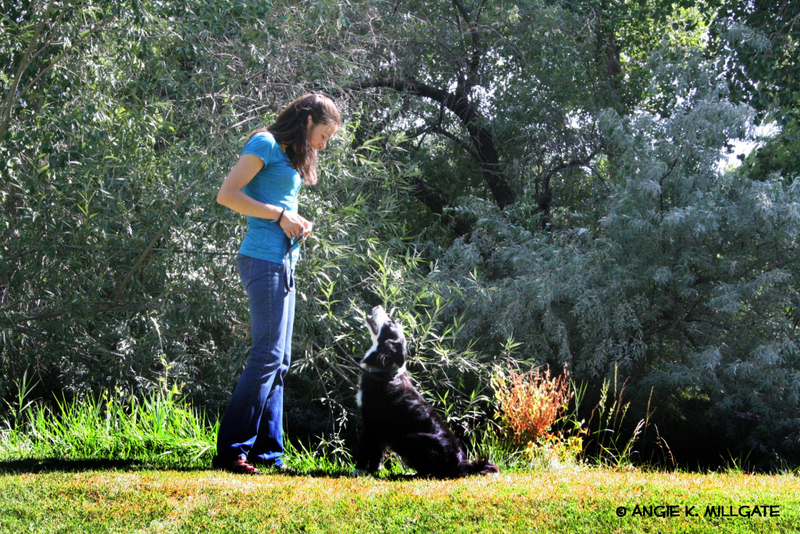 Some dogs are great to start training immediately when you get your dog. Others may do better with some alone time with you first for a few weeks without doing much training. 3.) Be prepared to walk your dog regularly. Think of ideas BEFORE getting your dog what your walking schedule could look like. Make it feasible and easy. 4.) Know places to take your dog. If there are nearby dog parks I recommend you go to them at their least busy times. 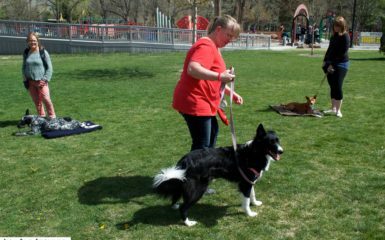 Busy dog parks usually result in too much arousal levels and fights can result. 5.) Be ready to schedule a wellness check after receiving your dog to make sure your dog is healthy. I recommend Animal Medical Clinic. 6.) If changing your dog’s diet please do so gradually. 7.) Plan on doing some house training with your dog. He may not be fully house trained quite yet. Plan on taking him out every hour on leash and wait for 3-5 minutes. Click and treat immediately after your dog goes potty. 8.) Dog proof your house BEFORE getting your dog. Many new dogs will want to chew chew chew. 9.) Have plenty of chew toys for your dog: balls (NOT tennis balls…these are bad for their teeth), bully sticks, nylabones, raw beef soup bones, etc. There are some awesome toys that I recommend at http://www.petexpertise.com/jfteresi/. 10.) Crate train your dog immediately. This is where you will want to put your dog when you are not able to supervise him and will prevent potty accidents and chewing. 11.) Expect that your dog may chew on something or have an accident. He is in a new place and accidents can and more than likely will happen. 12.) Your dog will probably pull hard on the leash. I recommend using the Front Hook Harness or the Head Collar. Stay away from chokers and prong collars. These can cause aggression and damage the esophagus and spinal column. 13.) Create support. Join my Dog Training and Activities group and meet other dog people. If you adopted your dog from a rescue attend their parties and events. 14.) Do things that you enjoy. Remember owning a dog can be stressful especially during the first few months. Take time for yourself. Do things you enjoy. 15.) Plan on keeping your dog on leash for awhile. If he is off leash it should be in a fenced area. Some rescues never allow adopted dogs to be off leash in an unfenced area. Make sure you know the rules. 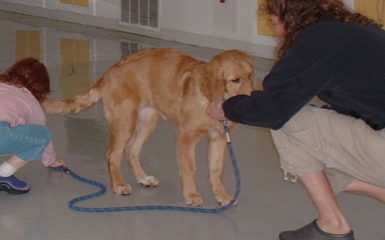 Recall training (training “come”) takes time. 15.) Most of all have fun with your new dog!